In a nonstick skillet, heat the oil and Brown the shallots, you have previously cleaned and rinsed thoroughly. Soon after, add the chopped fennel and gently let it wither. Then, add the raisins (soaked and drained), pine nuts, tofu (previously crumbled with a fork) and drizzle the all the white wine increasing the flame for about 5 minutes. 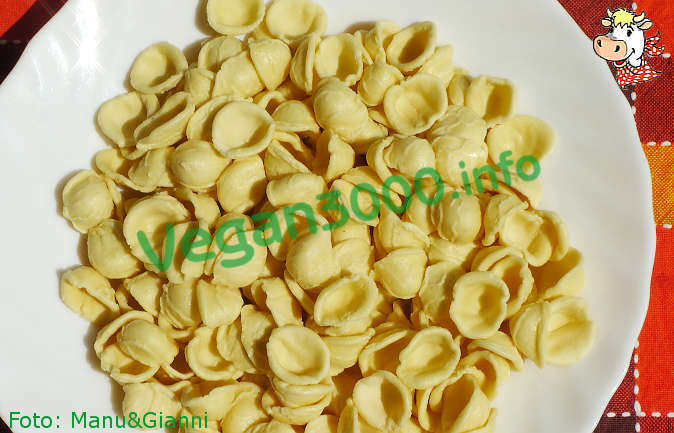 Stir occasionally and meanwhile blanch the orecchiette in boiling, salted water, to which you add the curry. Drain and pour into the pan. Sauté rapidly, pepper and serve immediately.